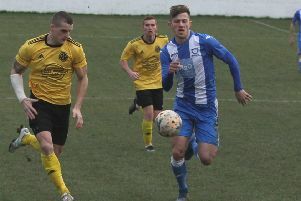 A second half goal from substitute Gary Day was enough to see North Shields maintain their winning streak, stretching their run to five victories in a row. Despite dominating the game in the early stages, Robins found it difficult to break through a resolute Colliers defence. Things were made worse when in-form striker Callum Johnston was substituted at half-time with an ankle injury. However, his replacement, Day, made an instant impact, when he netted what proved to be the only goal of the game, converting from close range shortly after the re-start. Despite some late pressure from Ashington, Shields managed to hold on for the victory. Later, it was confirmed Ashington boss Steve Bowey had resigned.